Last night I had a conversation with another friend who knows that feeling. Her parting text was, “Keep calm.” I replied, “And Carry On.” Then I thought about it for a long time after I should have been sleeping. We like to be comfortably like other people, at least most of the time. We don’t especially enjoy looking odd, making decisions that raise eyebrows, or having to live differently from our particular herd. I have a lot of theories about why this is, especially in Mennonite church settings, but that is much too complicated. 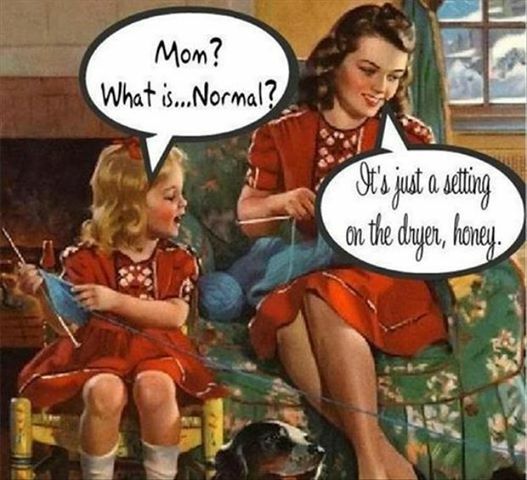 Let’s just pretend you are in a situation that is not normal. What can you expect to take away from this? You can expect to learn compassion. There is nothing like immersion in a situation for sudden epiphanies. “Ohhh. So that is how it feels…?” You will always be able to connect with others in your particular brand of abnormal. You will learn to think carefully about your choices. It is not possibly to skate along easily when the wind is against you and the sun is not shining warm on your back. You learn not to take simple, ordinary, everyday stuff for granted. Living with the strain of life on the edge helps you to appreciate this moment of sitting on the couch, having tea with a loved one. You will begin to feel the confidence that you can stretch much farther and accomplish more than you thought. Because you are not too afraid to try. Best of all, you will learn about grace. You will feel it from other people, and you will start to think more graciously about everyone else you meet. You will experience endless supply from God and know for real that it cannot be exhausted. This post and the following ones are really good. I should like to speak with you in person someday.